A mere 70 minutes driving time from Bangkok city Swang Resort has everything you could possibly want for your Hua Hin golf holiday. excellent golfcourse, exquisite cuisine, the excellent clubhouse facilities include the Pro-Shop, men and ladies locker rooms. Sawang Resort Golf and Country Club thrive as a luxurious premier four-season resort located in Khao-Yoi district ,the gateway to worldwide welknown beaches and islands in the southern Thailand. 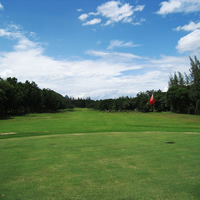 Perfect for a short weekend away from Bangkok, Sawang is relaxing and allows Thai golfers to chill out.